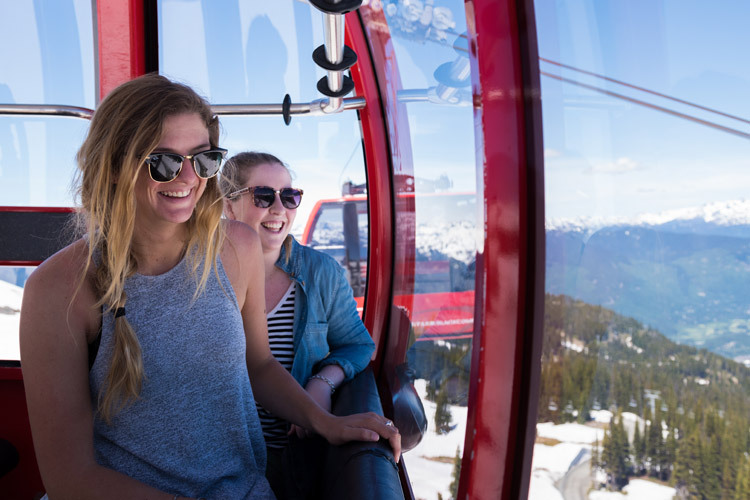 As summer winds down this may be your last chance to get up-close and personal with some of the best mountains in Whistler so why not lace up the boots and hike into Wedgemount Lake, the shimmering emerald in the local hiking crown. 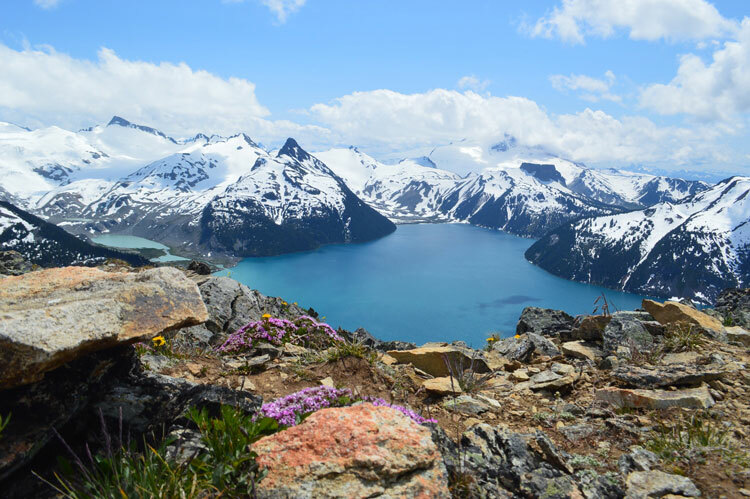 Situated in the middle of an almost 360-degree panorama of stunning peaks and glaciers, Wedgemount Lake (often referred to as just “Wedge”) is one of Whistler’s most difficult hikes, but also the most rewarding. With million dollar views and a true high-alpine feel Wedge is the perfect way to cap off an epic summer of local hiking. But you have to work for it. The trail to the lake is steep and hard, climbing about 1200 metres (3937 feet) of elevation over only 6 kilometres of trail. 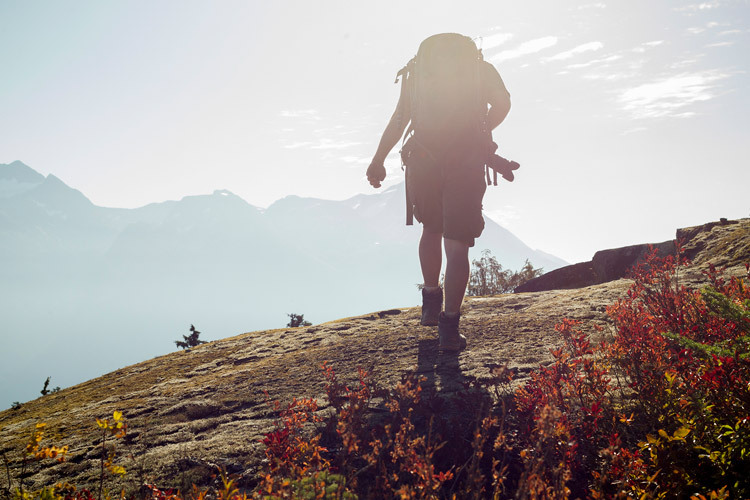 If you’ve been hiking all summer on some of Whistler’s more moderate climbs this is the perfect way to test yourself one last time before the snow flies. The Wedgemount trailhead is easy to find. 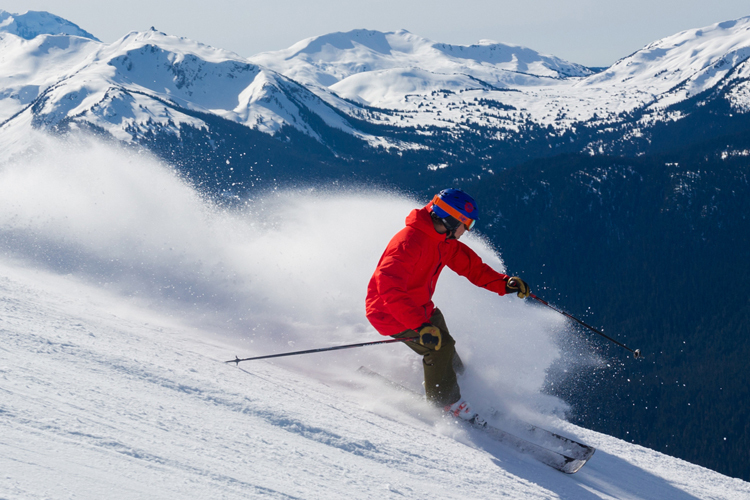 Drive north from Whistler Village all the way out past Emerald Estates. You’ll soon see the Whistler Heli Port on the left and a few kilometres later the Wedgemount turn-off is on the right. Pull in, cross the bridge over Green River (look for whitewater rafters below) and follow the signs pointing right and up the hill to the trail head marker (and outhouse). It’s about 2 kilometres of potholed dirt road but 4×4 is not necessary (unless it is winter, in which case the snow may be too deep for any kind of vehicle). The trail starts nice and mellow, crossing Wedgemount creek and up into Garibaldi Provincial Park while winding through a perfect example of pristine coastal rainforest. Look for interesting seasonal flora and various mushrooms, lichens and berries. Things get pretty gnarly very quickly however— slick, muddy roots and rocks are the norm and the trail is steep, steep, steep as you power through towering cedar, fir and hemlock trees. The rushing creek provides the perfect droning soundtrack to help with the strenuous climb and eventually the slope mellows out for a bit of a rest before getting tough again. Watch for 296-metre Wedgemont Falls through the trees, it’s a nice break from the sweating and panting. After another short mellow section Wedgemount’s final push is a steep, boulder strewn sub-alpine section up to the lake. 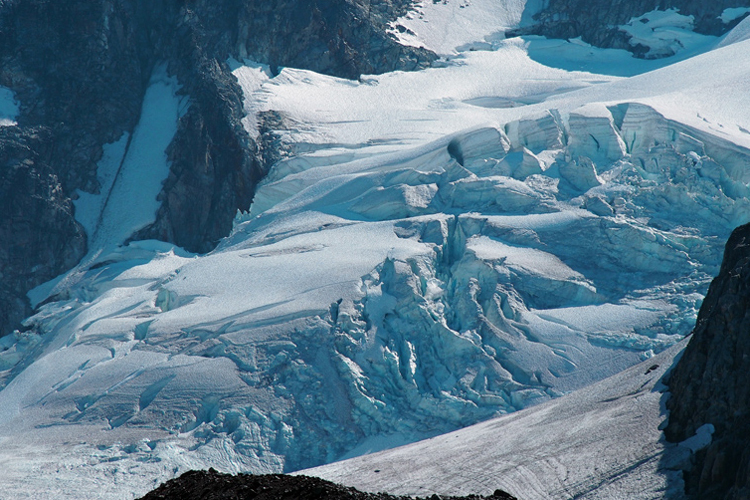 The climb is a bit loose but not especially long and upon cresting the ridge all the suffering is instantly worth it with epic sweeping views of Armchair Glacier, Mount Cook, Mount Weart and The Owls as well as Parkhurst Mountain and Wedge Mountain, the highest in Garibaldi Park. Basking in the sun on the lake shore amidst such impressive giants of geological time, one can’t help but be humbled and connected at the same time. This is why we hike— to share the sense of something greater and feel a part of nature’s magical timelessness. (And this time of year is the last chance to get up there before the snow starts dusting, then sticking, then really coming down). This is a 3-image photo composite I made to show the scale. I promise it looks better in real life. – Editor. The trip from trail head to lake is about 6-7 kilometres one-way and can take anywhere from 3-5 hours depending on your fitness level. 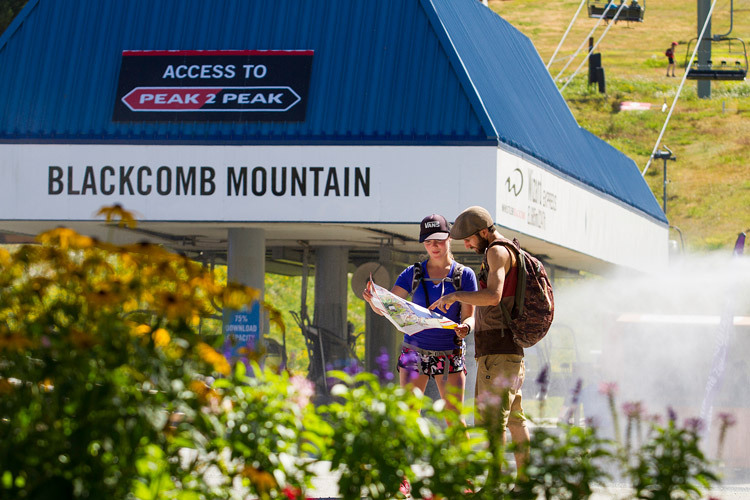 Plan another 2-3 hours for the descent as well—it’s steep, slick, root-strewn and not the kind of thing I’d want to do in skate shoes or those Hello Kitty running shoes you got at the mall. Dogs are not allowed in Garibaldi Park. 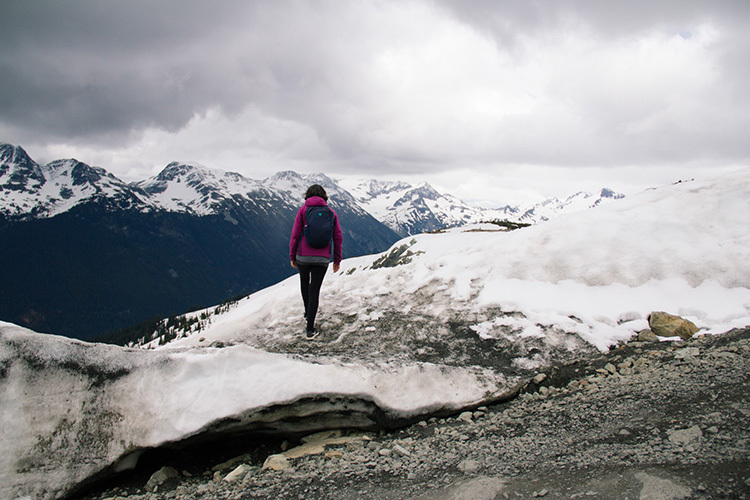 There are camping pads and a public hut at the lake, and the Visitor’s Information Centre in Whistler Village will have the most up-to-date information on hiking conditions as well as maps and helpful advice. Mountain weather can roll in quickly and even day hikers should ensure they have rain gear, warm layers, a headlamp, a bit of extra food, water and, of course, a camera. Have fun.